We are very happy to announce our latest creative hire, Dan Jones. An extremely talented designer and art director, Dan joins us after a number of years at Clemenger BBDO Melbourne and then M&C Saatchi. = In his time dominating creatively, he has worked on a diverse stable of clients including; Carlton Draught, Nestle, Telstra, NAB, Melbourne Tourism, Tetley, Dulux, Sensis, Bonds, Purina, My Dog, Fanta, Coca-Cola and more. And is just as comfortable concepting as he is creating. We were lucky enough to see Red Bull at its best down in Melbourne for the 2015 Formula 1 Grand Prix. Thank you Red Bull for what was truly a once in a lifetime experience. Any closer to the cars and we would have been run over. We’re proud to announce our first creative hires - the seriously talented Charlie and Jack. Before joining Special Group, they worked at M&C Saatchi Sydney and M&C Saatchi Melbourne, creating campaigns for Google, CommBank and helping to win the Cricket Australia account. Prior to this Jack worked at Havas, producing a number of campaigns including ‘Durex - Fundawear’ which was awarded at Cannes, D&AD and showcased at SXSW. Charlie joined the ad industry after five years as a developer/interface designer at several web startups. In 2014 they were named Cannes Young Lions finalists in both the digital and film categories. We are delighted to be working with Sandhurst Fine Foods on a number of brand, design and digital projects. We love their old fashioned family values almost as much as their authentic, great quality products. We are proud to announce we are now working with one of Australia’s most iconic brands and proud exports, R.M. Williams. A business founded and made famous by the boot, the brand has earned respect for its authenticity, durability and Australian heritage. It’s a real privilege to work with this great team as they embark on plans to secure a future for R.M. that is as great as its past. It doesn’t get better than being able to work with Australia’s most iconic, talked about and arguably most important brand - our national carrier. Feeling super privileged and super spoilt. The highly awarded entrepreneur and founder of the fastest growing fast-casual restaurant business, Steven Marks has followed Matty and Dave to Special Group. We are working with the GYG team across brand strategy, promotional activation, retail marketing and their social activity to help them realise some exciting growth goals as they take Mexican food and Latin culture to the world. There’s a lot to love about Guzman and Gomez and we love it all. We are extremely excited to have superstar Tori Magill join us. Tori has recently returned to Australia after four years of fabulous work in New York at Droga 5, Anomaly and Mother. She has built an enviable reputation for “walking through walls to make the impossible possible” and has earned great respect from clients and creatives alike. Tori has worked on some highly awarded campaigns for both creativity and effectiveness across many categories including Newcastle Brown Ale, Puma, David Jones, Virgin Mobile. Stella Artois, Diet Coke and Lion Nathan and Zimmermann. Matty and Dave have worked together for the past 18 years. Their work has been awarded as both the most creative and effective in the industry, helping the brands they’ve worked with to achieve great success. They believe that a brand is made up of every thing it does, everything it doesn’t do, everything it says and everything that people say about it. They basically believe that everything is advertising. This philosophy sees them looking for ideas that can live anywhere in the world, working between the disciplines of design, communications, PR and media. Career highlights include winning a coveted Black Pencil at D&AD, 2 x Titanium Lions at Cannes, The Direct Grand Prix at Cannes, a Digital Emmy, 2 x Grand Effectiveness Awards as well as a Webby for digital innovation. Matty and Dave were recently ranked in the top ten creative directors in the world according to the Big Won Report and are both members of the International Academy of Digital Arts and Sciences. Outside of advertising, Matty co-founded Refill Magazine, a design and art based publication that achieved international distribution and collaborated with artists as diverse as Futura2000, Nigo from A Bathing Ape, Mr Cartoon, Michael C Place, Tilt, Parra and many more. He is the shorter one of the pair. Whilst Dave, outside of advertising, once lost a band competition to Wolfmother with his band Pivot, who got sued by an American band of the same name, lost the vowels to become PVT and then promptly (after Dave left) became reasonably famous. He also happens to be the taller (and yet still somehow fatter) of the pair. Red Bull Australia has appointed Special Group to be their lead creative agency partner, to work across all aspects of their marketing. We are delighted to be working with Red Bull. They are an iconic and inspirational global brand. They like the kind of thing we do, we like the kind of thing they do. Exciting times ahead. Described as 'Australia’s only true luxury brand,’ Paspaley Pearls has appointed Special Group as its design and advertising agency after a competitive pitch. Paspaley is an iconic Australian family-owned business which is world renowned for producing the most beautiful and valuable pearls in the world. They have a global retail reach and are hugely ambitious about broadening their customer base. They are also an extremely smart, and nice bunch of people. We’re feel incredibly honoured to be selected as their partner. Watch this space for some exciting new work soon. Cade is a seasoned and progressive leader of large, complex and integrated clients. He has recently returned from an 8-year stint in London where as a Partner at leadingUK agency VCCPhe ran the UK’s largest integrated account; telco O2. As part of the end-to-end responsibilities Cade led O2’s sponsorship and events activation strategy which saw his team create award winning on and off-line work to launch The O2 (the world’s most popular music venue), England and Ireland Rugby Union sponsorships, Arsenal Football Club sponsorship and a sponsorship of the UK’s O2 Academy live music venues. During his tenure 02 was the most awarded brand in IPA Effectiveness history, won European Sponsorship of the Year and Campaigns UK ‘Campaign of the Year’; all helping VCCP to win Campaign 2013 UK ‘Agency of the Year’. He’s loved and respected by clients, creatives and Baristas equally. Lindsey has had leadership roles in London, New York and Sydney with a who’s who of premier international brands across business strategy, brand design, marketing and all aspects of communications. 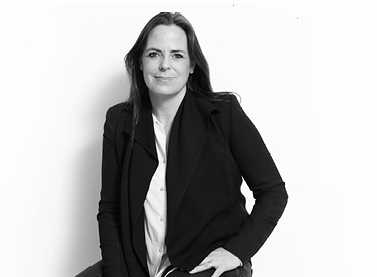 Lindsey has recently returned to Sydney to set up Special Group Australia after a stint in London running TBWA. Prior to that she worked as GM Marketing with one of her long term clients, Pacific Brands. She is credited with reviving one of Australia’s most awarded and respected agencies, The Campaign Palace (WPP), when she joined as MD of the Sydney shop in 2005. The agency doubled the size of its team and tripled its profits within two years through a drive in creativity, the introduction of digital and channel planning, and new business. She left The Campaign Palace in 2009 to become one of the founding partners of Happy Soldiers – which, in just two years, became Australia's most creatively awarded independent agency in recent history. She sat on the board of The Communications Council, Australia's marketing communications body and is a regular judge of effectiveness awards. Lindsey used to have hobbies; she now has a seven year old, twin four year olds and two Labradors. We're very excited to announce the launch of Special Group Australia. CEO Lindsey Evans and Managing Partner Cayde Heyde lead the team. An announcement on a founding Creative Partner is coming right up. Special's Potts Point office opens its doors with a mix of Australian and international clients, including luxury jewellery brand Paspaley, Ecostore, MARCS and All Good Organics. Special will also be joining Red Bull Australia's agency roster and is working with Adoption Awareness, a not-for-profit organisation co-founded by Deborra-lee Furness.